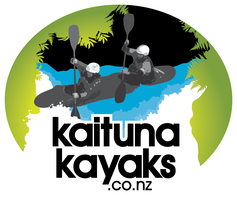 We are a Kayaking company based on the banks of the beautiful Kaituna River, just north of Rotorua, in the North Island of New Zealand. We offer all aspects of kayaking on a number of North Island rivers. We cater for all levels and abilities, offering lessons and courses, tandem kayak trips, guided whitewater trips and scenic sea kayaking trips on Lake Rotoiti. Develop your skills quickly using up-to-date techniques to suit modern boats and equipment in either group or private lessons - from complete beginner to seasoned pro, our lessons and trips are customised just for you. Kayaking is an amazing sport that can take you places that not many get to see, so come along and enjoy the fun and amazing places with us.